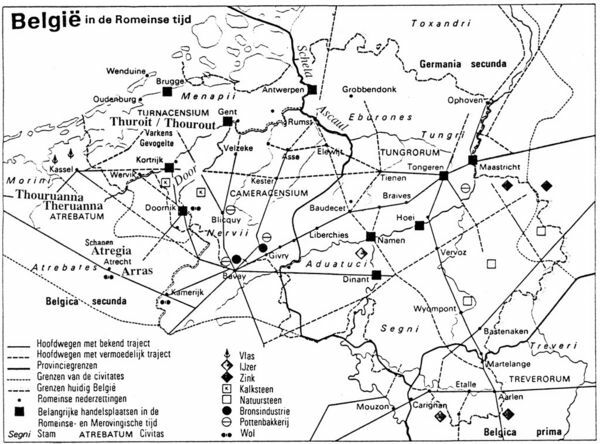 Celtic Manapi, Morini & Atrebates were driven SW into Belgium, N France & SE Britain. The Morini lost Kassel Morinorum to the Manapi who then renamed it Kassel Manapiorum. The Atre-bates lost Thuroit and established Thouruanna & Ait Regia (Atrecht) near Belgium's upper Door River. Advancing Roman legions forced these Belgic tribes to devise & erect an elaborate Belgic defensive system around their Capitals.